Prospect currently has one area for hiking use. Coastal Mountains Land Trust holds 47 acres on Bowden Point. Their trail offers about a half a mile of hiking with some views of the water. Currently there is no actual parking lot but shoulder parking is allowed. 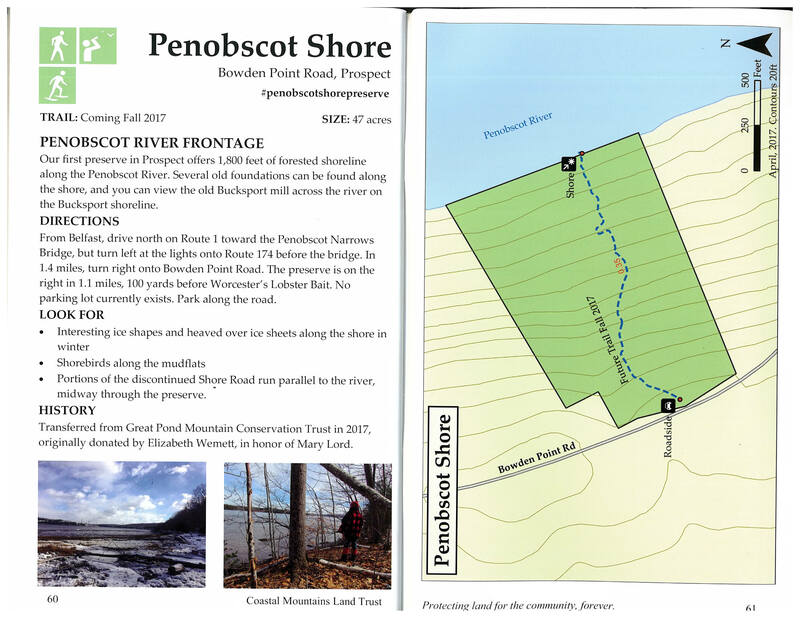 See the PDF below for an informational pamphlet on the Bowden Point Road hiking trail. For an official trail guide for all Coastal Mountains trails you can call them to request a copy in exchange for a donation fee of $5.